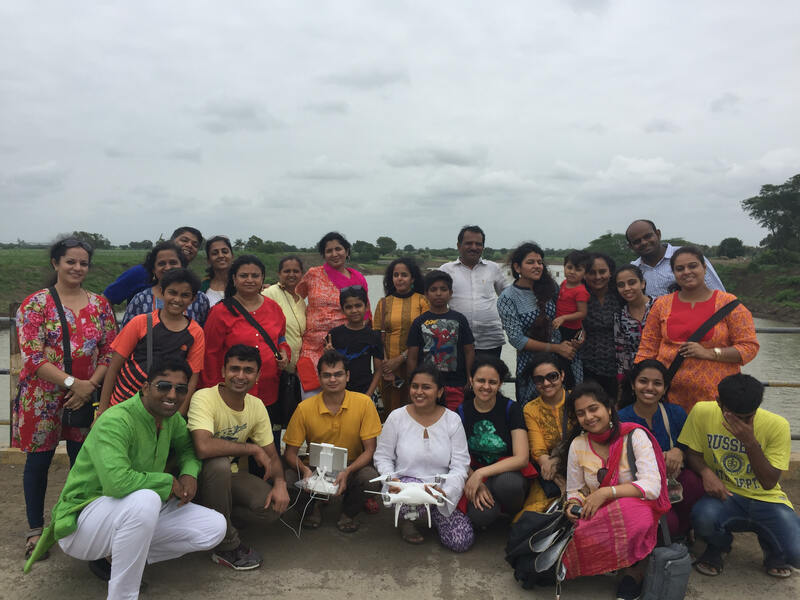 May 2016, was my last visit to Manjara river in Latur. The dried up river looked like a Marusthal (a dead habitat). After 4 years of drought, the Villagers living around this river were fighting their worst battle for survival, with bare enough water available for their daily needs. Children had stopped going to school to help their families hunt water for existence. And Government had to send water trains to meet the drinking water needs of the villagers. There were frequent instances of farmer suicides being reported in newspapers. Villagers were forced to migrate to nearby cities for survival. The situation was alarming. August 2016, recent trip was a contrast from the last visit. From being a Marusthal Manjara has come to life now. And not only humans but the entire creation- birds, animals, plants around her are rejoicing the rebirth of Manjara. 25-30 feet of water stands in Manjara today and they say a lot more has also percolated in the ground, recharging the dried up wells. 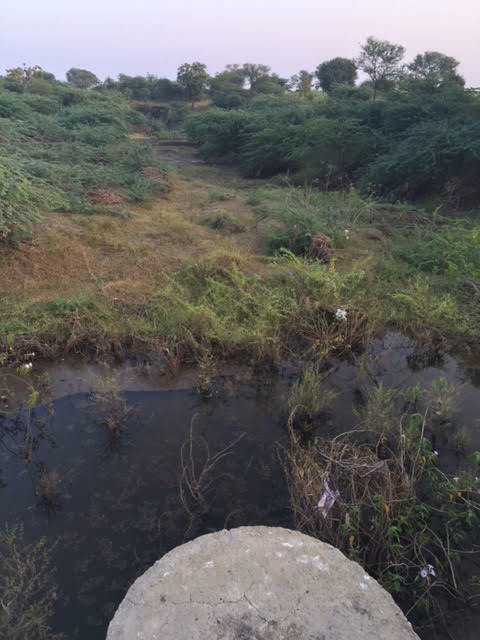 15 km of rejuvenated Manjara is now a source of life for more than 5 lakh villagers. What an awesome sight this was! Such great transformation took only 3 months time. After 4 years villagers have seen water standing in the river again and making best use of it they have already planted new crops. These crops are insurance for a better future and brighter times ahead for our farmers in Latur. My heart skipped a beat and tears rolled down my eyes and my throat choked in gratitude as I looked up the sky and thanked the Lord for showering his abundant grace upon our villagers. And I felt a sense of satisfaction like never before seeing the May to August contrast. 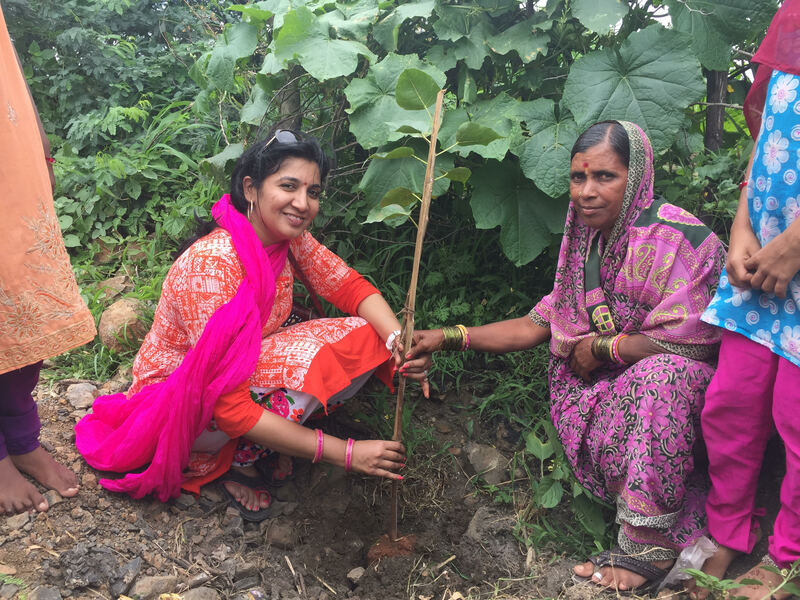 Satisfaction that my life force could be useful for Jal Jagruti Abiyaan, the project that got Manjara her life again and solace for our farmers, our AnnaData. I learnt that little can be a lot. We had put just a little effort for reviving Manjara but our villagers showered love upon us like we were God’s ourselves, wholeheartedly. All of us felt that we did very little to deserve such incredible respect from them. Our villagers have very big hearts and they treat their guests as God. Seeing Manjara come to life again has given me a new hope and renewed enthusiasm to work for the conservation of our environment and rejuvenation of our rivers. 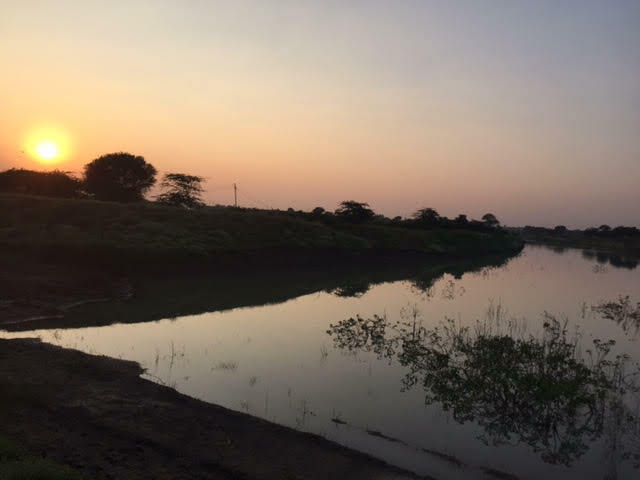 JJA is an example that If we give little attention to our water bodies, nature will support us multiple times and it would not take us long to repair the damages that have been done to these sources of life.The story of Latur is a living example. Let us together do our little bit. As little can be a lot! The visit to Latur in December last year was like my right hand meeting with my left hand. As more than half of Indian population still lives in rural areas and life in a city like Mumbai can be quite a contrast from the life in a village, the visit to Latur was experiencing this contrast and like meeting my left hand. Our train left from Dadar station at 9.30 pm for Latur and we reached around 6 am in the morning. All of us were excited to experience what the day had in store for us. Makarand ji, our YLTP Maharashtra In-charge, took us around to view the JJA project. He was a great host and gave us a modest example of hospitality in Latur. 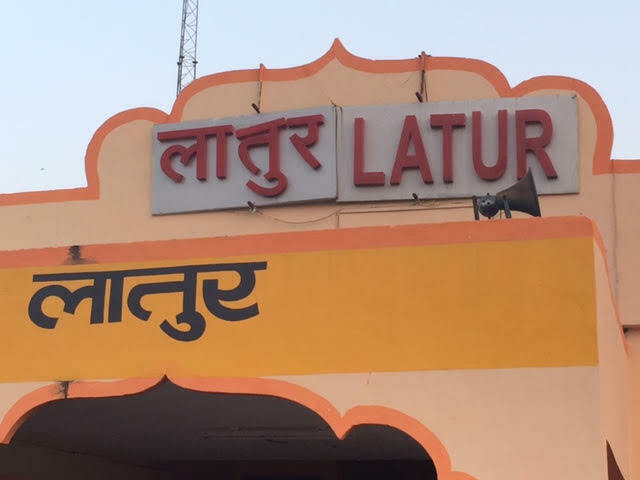 Latur is a small town with a population of about 3 lakhs. One straight road within 5 min reaches you to the extreme corners of the town. Unfortunately there was only 398 mm of rainfall last year against an average of 600 mm received every year. Because of which people here would receive water from Municipality only once in 15 days. The Kharif crops had failed due to drought. In Maharastra Extreme drought conditions are being faced in 3 Districts i.e Latur, Osmanabad & Beed. Where 350 farmers have committed suicide in 2015. All through the month of September, leading newspapers in Maharashtra covered stories of Farmers committing suicide every single day. What a shame, that in the last 70 years after independence our villagers, still don’t have basic resources. Haven’t we gone wrong somewhere? All of us know that human civilizations emerged on the banks of rivers. As water was needed for living a settled life. But a lot of our water bodies in India, today have dried up or have been polluted. Is this evolution of a civilization! Shouldn’t each of us care for our environment and these sources of life? Few basic questions must be reflected upon if we wish for our civilizations to sustain and flourish in future. The good news is that a you-turn is possible and there still is hope. Jal Jagruti Abhiyaan(JJA) is one such ray of hope. JJA was launched in February 2013. JJA is a long-term & scientific solution for river rejuvenation in India without any requirement of land acquisition. 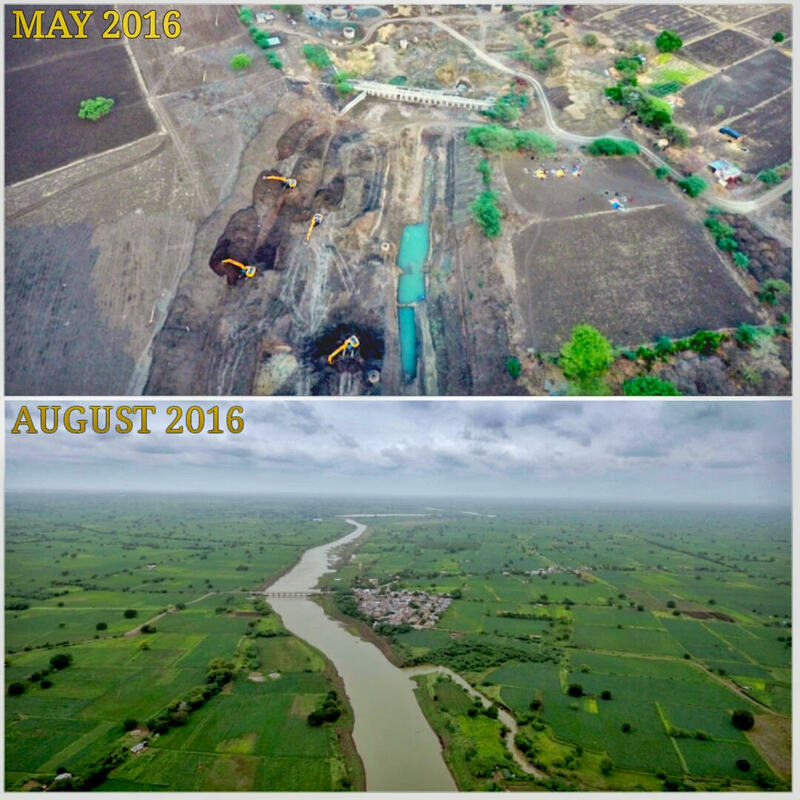 Since its inception 12 rivers have been rejuvenated with the help of volunteers along with the people of Maharashtra which brings in ownership for the project. 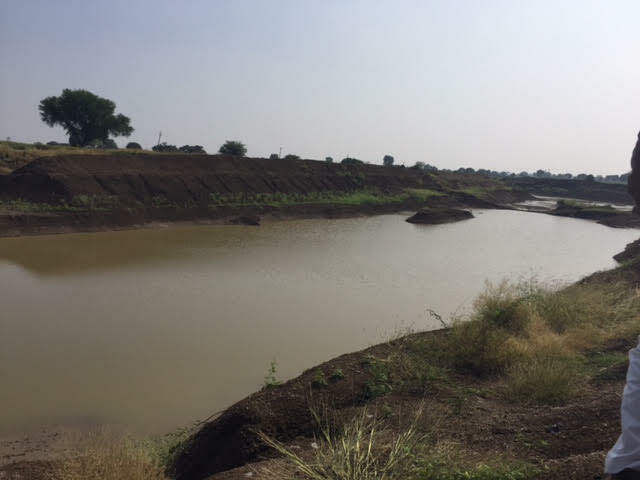 With work in progress on river Manajra in main District Latur which is completely dried up due to silt formation and vegetation growth. 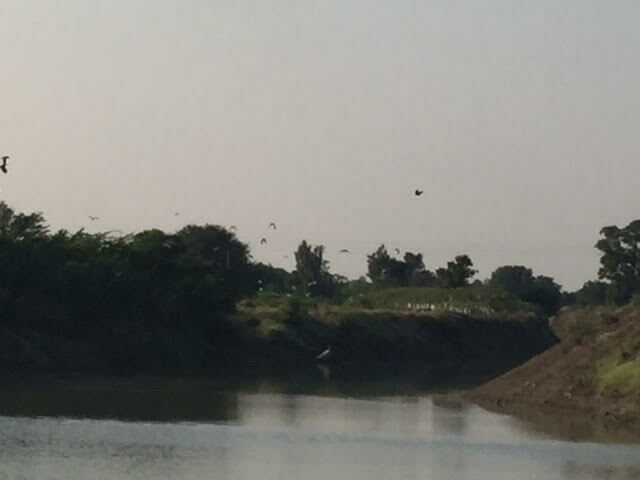 First we visited the Rena river project-Renapur village has a population of about 15,000-20,000. 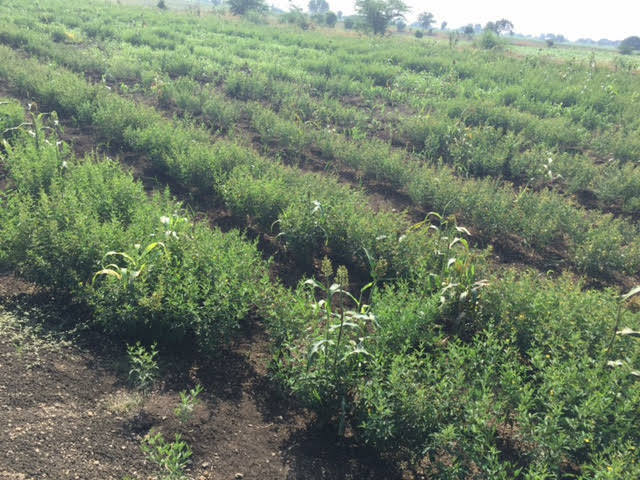 The main crops grown are soybean, chana, Jowar & sugarcane. A stretch of 4 km with a depth of 7m has been successful rejuvenated with support and monetary contributions from villagers. Due to lack of rainfall this year there has been great scarcity of water in Renapur. Despite this, when we interacted with farmers from Renapur village, they were happy about the JJA project being carried out this year. 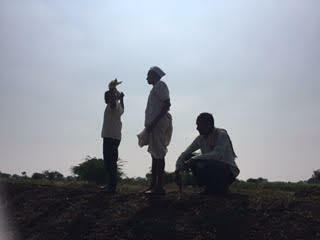 The project has helped them to get their produce from Kharif crops this season. Even though the returns received was not 100%, the farmers spirit was high because they could at least cultivate one season crop successfully, unlike other farmers in the area. They are hopeful of recovering their complete investment on the JJA project within next one year. On further interaction we also got to know that these farmers had never seen this river flowing with water for their entire lifetime and they were very satisfied with the work. A major part of the monetary contributions was used up for the transportation of cotton soil removed from the river to their farms. Because of the cotton soil being transported and put into barren land more than 100 acres of added land became cultivable and fertile, which was an added boon for the farmers in this area. Shivraj ji, one of farmers and traders of Renapur village, shared -“something was better than nothing. The major issue faced by us of water shortage every year has been resolved”. 500 farmers and their families have been benefited by JJA project in this stretch. They were able to get good price from the Market. Farmers had wished to rejuvenate the river for many years but they didn’t know how. JJA project provided this knowledge, financial & moral support to execute. Second we visited Gajpur Nala a stretch of 3 km with depth of 4 meter. Small Nalas connect to make a small river and small rivers connect to make a bigger river which further joins with an ocean. GajpurNala is one such small stream passing through the village Gajpur. It was amazing to see the bio diversity which has come around this Nala. Not only humans but all life flourishes around water bodies. Third visit was at the Taverja River which connects to the main river, Manjra, a stretch of 15km -2 mtr depth has been rejuvenated. We also meditated for the well being of our farmers sitting on the dam. 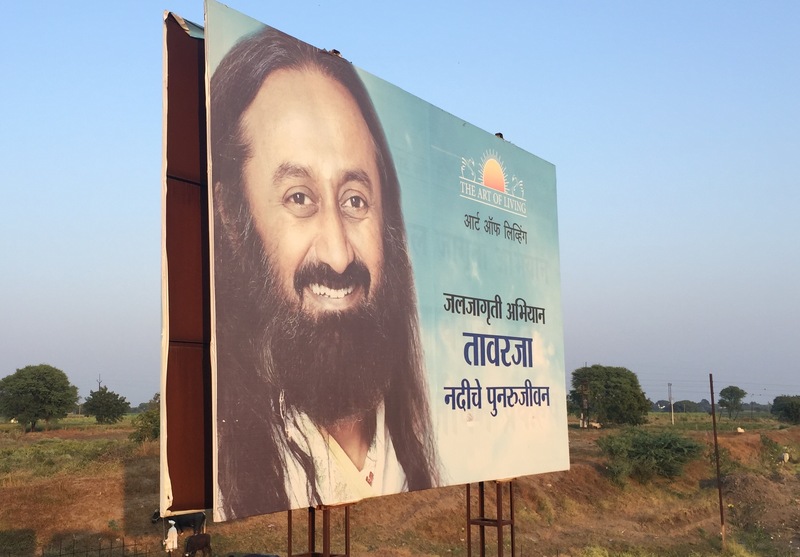 These projects have been successfully taken up by Art of living and the farmers in these areas. And they are an example of the bright possibilities in the direction. According to World Bank “Migration in India 2007-08” report (June 2010), Around 3000 to 4000 people migrate from rural to urban area for search of livelihood every single day all over India. They reside on foot path in Urban Areas without any means of livelihood for years. Employment seems to be the most important reason for migration. Some 67 percent of migrant households in urban areas and 55 percent in rural areas reported migrating for employment-related reasons. This migration must stop. Only if our farmers can be provided water, they can be self-reliant and live in peace in their villages. To rejuvenate and connect all rivers of India, yes, it’s a challenging job but it is possible. Viewing the JJA project in our visit to Latur has given us bright hope in this direction. The farmers of our country are not paupers; they don’t need free pennies from government for survival. Empower them with basic resources and they are capable of producing gold from our soil. Yes! Then our farmers can be the architects of a prosperous India. The river rejuvenation project has the power to make our farmers prosperous and self-reliant. Join us in our work of Jal Jagruti. Lot remains to be done. Let’s together work to make India prosperous.